The Elite-3x packs all the advanced features of a first-class color fish finder in a compact, affordable package. No longer do you have to give up the clarity of a color display to save money. The Elite-3x features a Broadband Sonar that delivers up to 10x the sensitivity of competing analog models, resulting in better fish and structure detail, reduced cutter, less battery draw, and increased transducer life. Dual frequency operations has 83kHz, which provides up to 60 degree conical coverage perfect for displaying largest fish arches and searching large areas, and 200kHz, which provides up to 20 degree conical coverage for best target separation of fish. Bright, full color 240 x 360 LED screen makes it easier to see menus and screen detail in both full sunlight and night operation. Simple menu navigation using menu, arrow and enter buttons. Comes with a quick-release, tilt and swivel bracket. 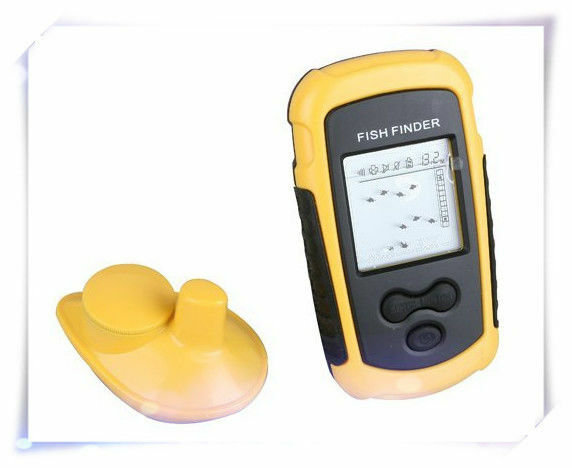 Broadband Sounder detail makes it easy to distinguish fish arches, bottom contour and structure details, bottom hardness, thermocline and more. Fish I.D. option displays fish icons to help beginners identify fish.